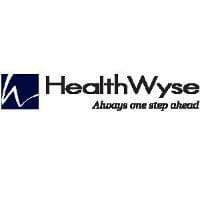 Specializing in web-based electronic health records, HealthWyse software is designed for use by home health agencies, hospice providers, and private duty agencies. HealthWyse’s EMR platform provides secure mobile access to documentation, scheduling, and billing functions. This program helps reduce adverse events, increase revenue and streamline home-based healthcare services. HealthWyse’s EHR platform focuses on functionality for home-based healthcare practitioners, making their software distinct from many other electronic health record systems. In addition to providing mobile access to clinical documentation, this platform serves as a combined billing, scheduling, mileage, reporting and medication management platform. This array of features is ideal for home-based care because it offers relevant tools for home-based providers while maintaining HIPAA compliance. Home-based healthcare providers are also able to access physician orders, treatment recommendations and complete medication histories, while the program’s WebWyse feature expedites the referral, record review and order management processes. Hospice providers benefit from using HealthWyse’s Chronic Care Management component, which allows them to measure and report treatment outcomes, evaluate cost management and follow best practice guidelines. HealthWyse’s EMR increases the efficiency of healthcare delivery while reducing errors, enhancing communication and maximizing revenue. HealthWyse’s electronic health record solution has been implemented successfully by many home health, hospice and private duty agencies. The HealthWyse solution has helped agencies increase revenues by 10%, efficiently manage workflows and shorten revenue cycles. Home Health VNA, one of HealthWyse’s agency customers, needed to implement an electronic medical record system and chose HealthWyse as their platform. After implementation of the EHR, Home Health VNA realized a significant increase in the speed of physician order turnaround as well as an increase in revenue. Learn everything you need to know about HealthWyse. Our experts will reach out to you shortly.